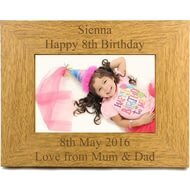 Personalise this Wooden Photo Frame with 2 lines of a text above the photo of up to 25 characters and 2 lines of 25 characters below the photo. 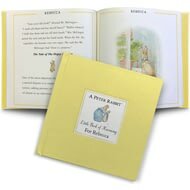 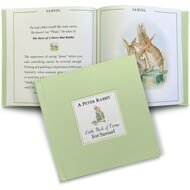 Excerpts from Beatrix Potter’s original tales, along with the original illustrations are brilliantly teamed with frank advice to create The Peter Rabbit Little Guide to Life. 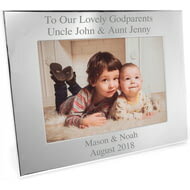 Personalise this silver finish photo frame with any message over 4 lines and up to 35 characters per line (2 lines above the photo and 2 line below the photo). 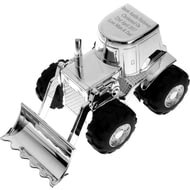 This silver plated Digger Money Box can be personalised on the top with any message over 4 lines and up to 20 characters per line. 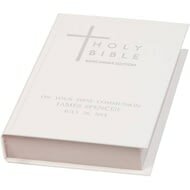 Includes removable stopper in the base. 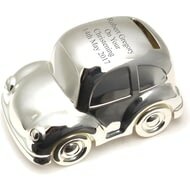 You can personalise this money box with 4 lines of text of up to 18 characters per line. 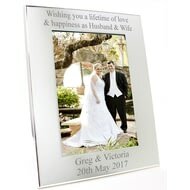 Money Box is silver plated. 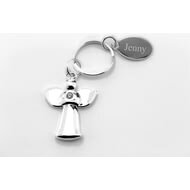 Personalisation is case sensitive and will appear as entered. 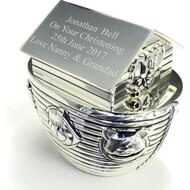 This silver finish Noah's Ark Money Box can be personalised with any message over 4 lines and up to 20 characters per line. 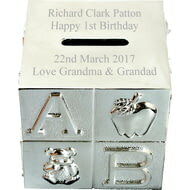 Personalise this silver plated ABC Money Box with any message over 4 lines and up to 20 characters per line for a truly unique gift. 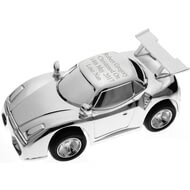 This silver finish Mini Car Money Box can be personalised with any message over 4 lines up to 20 characters per line. 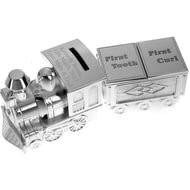 Money Box is nickel plated. 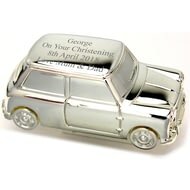 This silver plated Money Box can be engraved with any message over 3 lines and up to 20 characters per line. 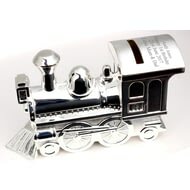 This silver plated train Money Box can be personalised on the train with any message over 3 lines and up to 20 characters per line just below the money slot. 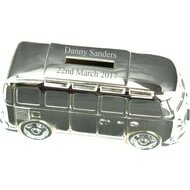 This silver finish Campervan Money Box can be personalised with any message over 2 lines up to 20 characters per line. 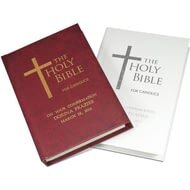 Bring the word of God to them with their own copy of the Holy Book. 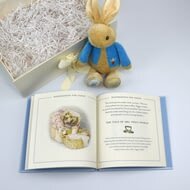 This adorable my first Peter Rabbit plush is an ideal gift for Newborns! 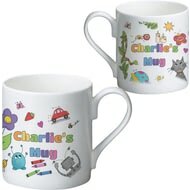 Personalise with your choice of name to be printed along the body of the toy. 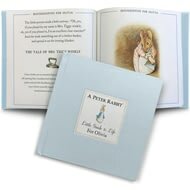 From the classic Beatrix Potter books these adorable Peter Rabbit booties are made from super soft plush with cute embroidered features and a rattle in each toe. 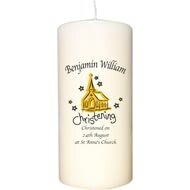 A candle decorated with a colourful church design makes a perfect gift for a special day. 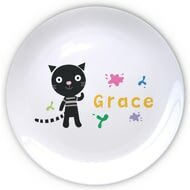 Perfectly sized for a little one learning to use crockery, this china mug has a colourful design and includes the little one's name. 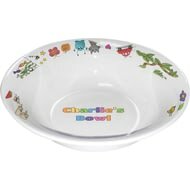 Perfectly sized for a little one learning to use crockery, this china bowl has a colourful design and includes the little one's name. 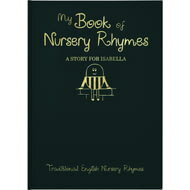 A baby book with a difference. 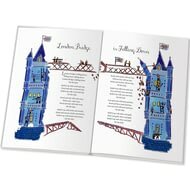 Inside is a digital colour reprint of a complete national newspaper from the birth date. 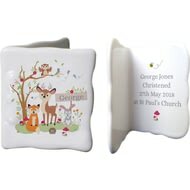 Our cute woodland design sits on the front of this mini message card including a name of up to 15 characters. 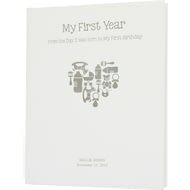 Your sentiment is fired on the inside over 4 lines of 25 characters. 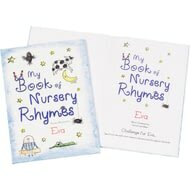 Looking for a unique gift for a special little girl? 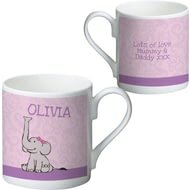 This cute baby elephant mug means you don't need to look any further! 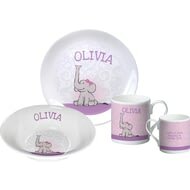 With a baby elephant that's as cute as the recipient, any little one would be lucky to receive this bespoke china breakfast set. 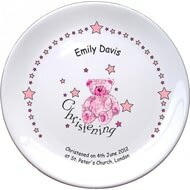 A cute pink teddy and stars design adorns this 8" bone china plate, perfect for the Christening Day of a precious little girl. 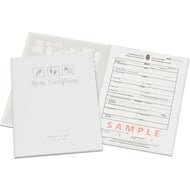 Preserve and present your child’s Birth Certificate in this premium Presentation Folder. 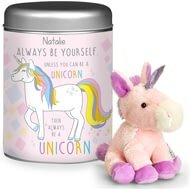 At 15cm high, this cuddly unicorn can be carried with them or it can be kept safe at home in their own personalised silver-coloured tin. 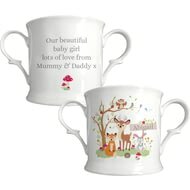 This bone china loving cup makes the perfect keepsake for that special occasion. 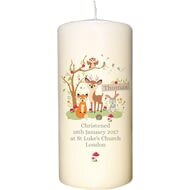 The ivory candle stands 6" tall and is approx. 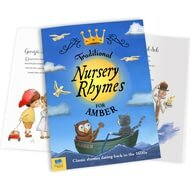 Personalise with a name of up to 15 characters and a message over four lines of up to 25 characters. 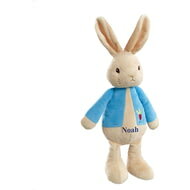 This Personalised George Comforter is made from baby soft plush to ensure it is as gentle against babies’ skin as can be. 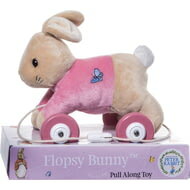 This Flopsy Rabbit plush toy is set upon wooden wheels with a pull along cord. 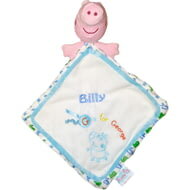 Personalise with your choice of name of up to 15 characters to run along the body of the toy.